So you’ve decided to visit the parks at the Disneyland Paris Resort. Congratulations! Both of our families agree that there were parts of Disneyland Paris they enjoyed immensely. 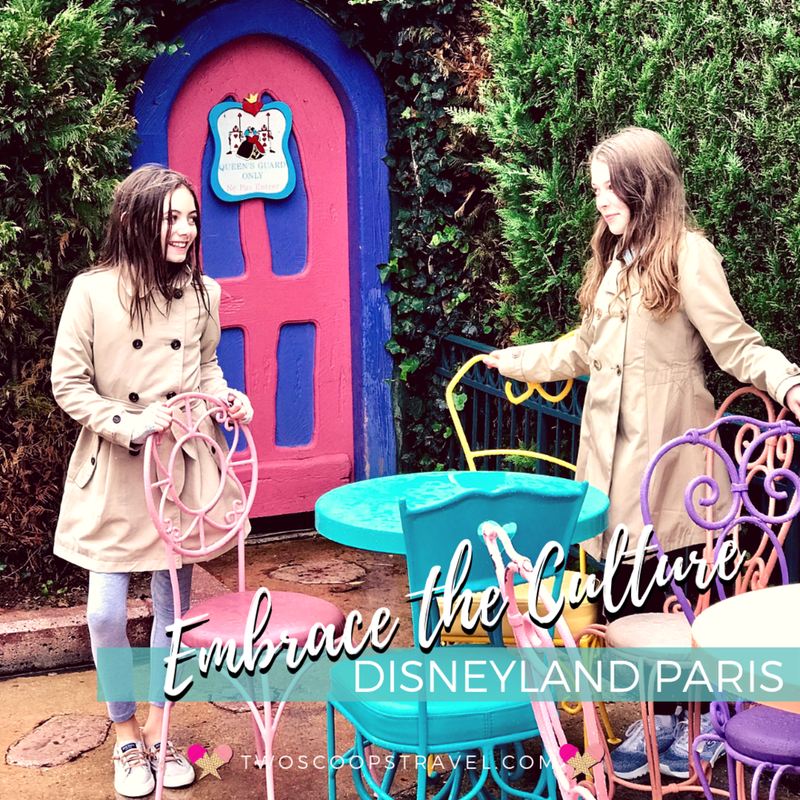 If traveling from outside of France, specifically for Americans visiting from overseas, we found the Paris Disney has a few tricks up her sleeve as compared to her American cousins. Here are our top tips for maximizing your trip to Disneyland Paris without losing your mind in the process. “I don’t need no stinkin’ help, I’m a travel blogger!” WRONG! Even the best need some help from time to time (just don’t tell our husbands!). We utilized a fabulous Disney Travel Agent from Ears of Experience. Brittani was an invaluable aid in purchasing our tickets and providing touring ideas. Even if you only utilize an agent to help make dining reservations (all on the phone, BTW) they are worth their weight in gold (and about $1 a minute in international phone charges). The benefit isn’t as nice as at Walt Disney World, but being close is helpful. 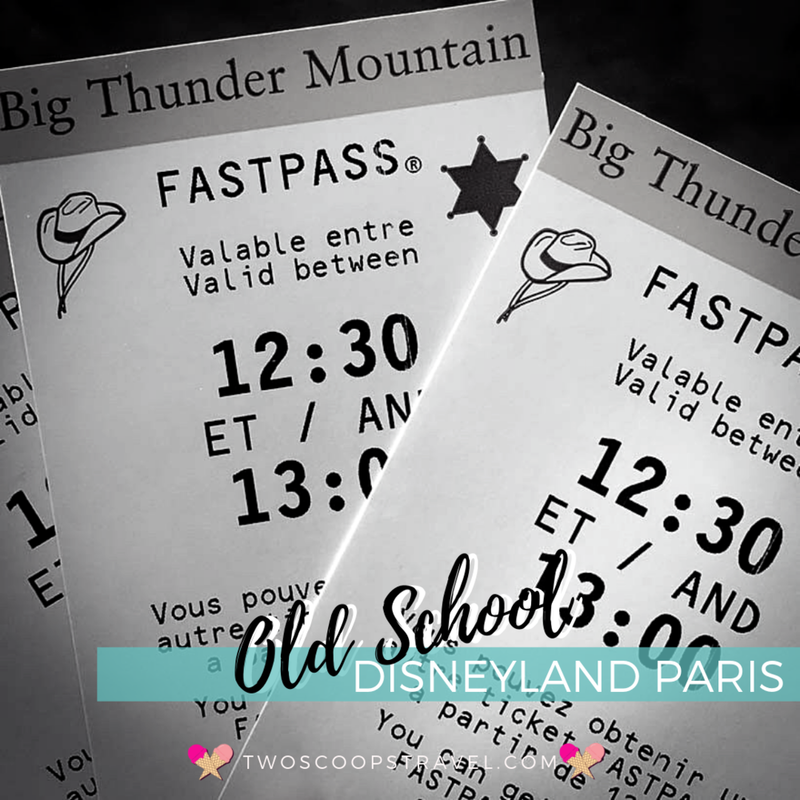 Plus as a Disneyland Paris Hotel guest, you gain early morning access. We chose Newport Bay Club Hotel due to its close proximity and club level options. I think this is a Europe-thing and Disneyland Paris is no exception. Expect for things to change (character greetings), things to close early (restaurants) and things to not run on time (character greetings). First of all, thank you to the Disney security team that keeps the Happiest Places on Earth safe! We wouldn’t change a thing - we just want you to be prepared for a little extra security when at DLP. On arrival at Disney hotels, luggage is scanned through x-ray machines before you are allowed in the hotel. Every time you re-enter the hotel from the real-world side, you will be scanned. When heading into the Disney Parks or Disney Village, your park bags will be scanned in X-ray machines and you will pass through metal detectors. Security professionals at the park look like para-military. Again, this Europe-wide so don’t be intimidated. Because bag scanning is through automatic machines (read: no chatty security guards), it does move fairly quickly. But best to allow a little extra time to clear security. You’re not in Kansas anymore. So rather than complain about the reserved cast members and public smoking, look for the differences that make DLP so French! Make it a game to find things you won’t find at other Disney Parks. These quaint parks might look small, but we are convinced we walked just as far as in the Florida parks. Perhaps the extra steps are outside the Parks, or there is more exploring inside. Either way, comfortable shoes are important. Now that you’ve got the most important tips down, let’s get started planning the rest of your trip! 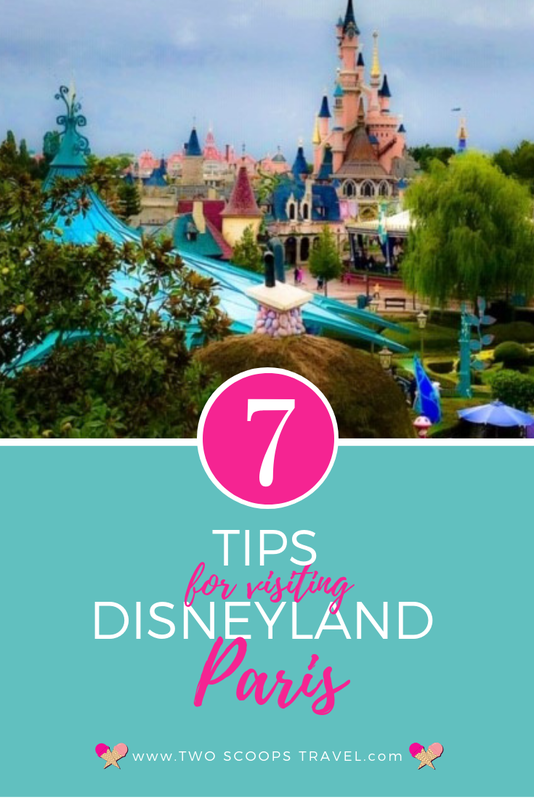 Check out our posts on Disneyland Park and Walt Disney Studios Park for more details and specific tips. Need inspiration or have a question? We’d love to help you plan your best Disneyland Paris vacation! Call us or send us an email. We’d love to help plan your Best Vacation Ever and our travel services are absolutely FREE for you!